A course on Lines, Angles and Quadrilaterals from beginner's level to advanced level. So here is our best selling course on 'Lines & Angles' and 'Quadrilaterals' for the beginners to understand the shapes, some of its properties and applications. The pairs of lines are nothing but the two lines, which may be intersects or parallel or perpendicular as shown below: Angles: The region between two infinitely long lines pointing a certain direction (ray) from a common point (or vertex) is termed as an angle. 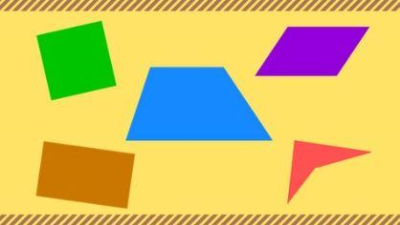 This is a complete course containing several video lectures for the concept explanation, Quiz videos to test our knowledge, some theorems on Quadrilaterals, problems based on Quadrilaterals.